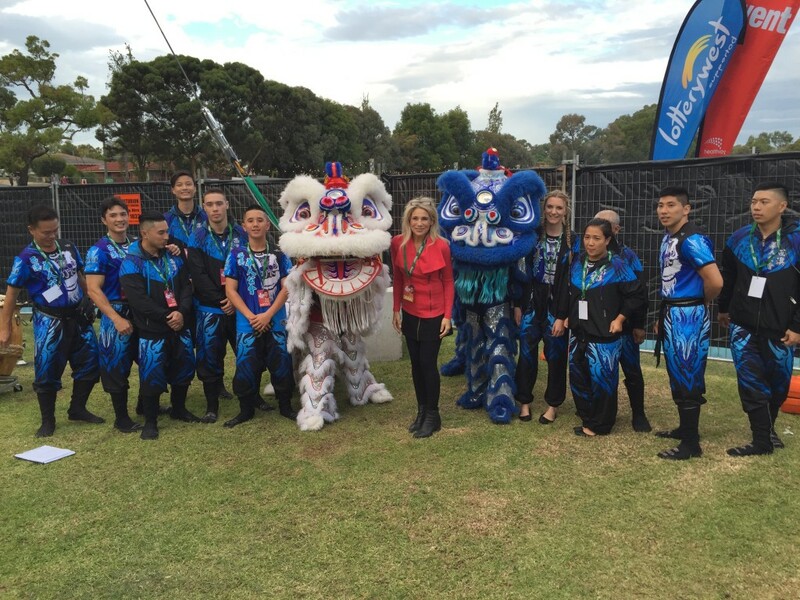 The CCC Lion Dance Troupe today participated in the Global Beats Festival organised by the City of Wanneroo. 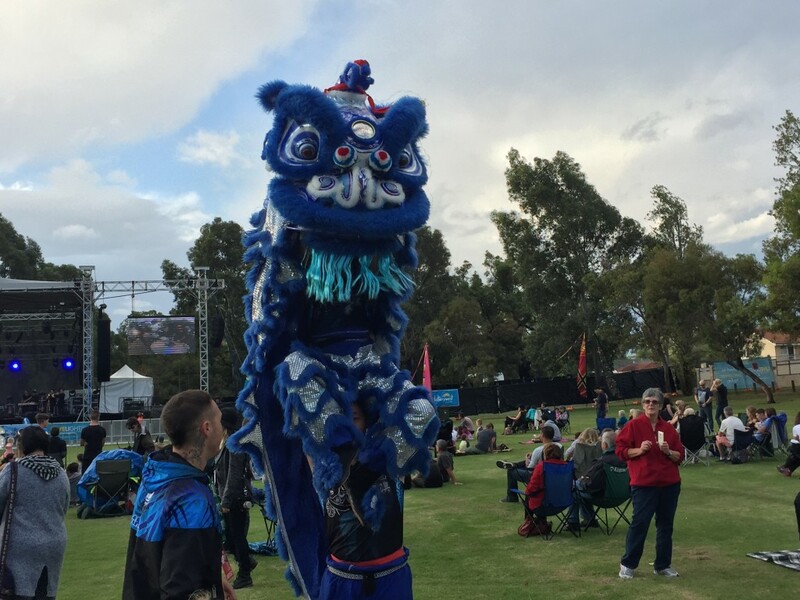 The festival featured a large number of different acts from around the world including Salsa Dancing, Samoan Dance, and the Lion Dance. Festival also provided live music entertainment with a number of bands. Attendees were also treated to a variety of international food carts. The CCC Lion Dance lions roamed the festival grounds, during the live band, and interacted with audience members enjoying the festival. Overall the festival had a large number of people, who came out with their families and enjoyed the festival and the number of entertainment and foods provided. 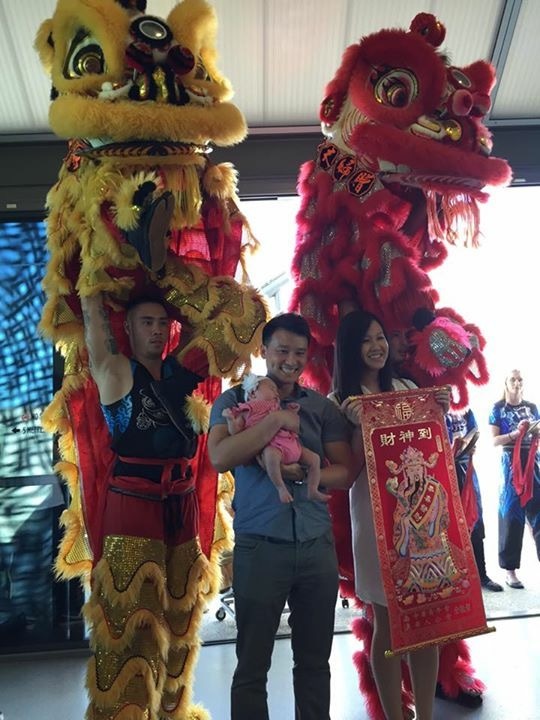 With members of the CCC Lion Dance Troupe having a number of friends whom recently had given birth, the troupe had the pleasure in performing for their close friends baby’s 1 month birthday, Baby Harper.The venue of the celebration was located at the new Piarra Waters Pavillion. The lions began their performance in blessing Baby Harper, whom was sleeping throughout the loud performance. The lions then interacted with the guests, getting fed red packets, as well as playing with the curious children in attendance. The lions presented a good luck scroll to Harpers parents before finalising their performance. The CCC Lion Dance Troupe wish Harper a happy 1st month birthday!